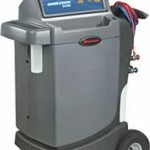 ©DenLorsTools.com Summary: Robinair AC machines are the most popular machines for servicing car air conditioning systems in repair shops throuought the USA. Robinair is an industry leader in the air conditioning field, developing new and innovative products. Robinair was started in 1956 by the Kent-Moore Corporation in Michigan. The Robinair division of Kent Moore was created to design and manufacture specialty tools for repairing home appliances. The Robinair name was a created by joining two of Kent-Moore executive’s names, Robinette and Adair. It was lucky that the use of the last part of the second name was “air” since the popularity of air conditioning back then was increasing by leaps and bounds. Robinair recognized the demand for servicing home AC, car air conditioning and moved towards the manufacture of AC servicing equipment. Robinair quickly changed to meet the needs of the air conditioning service market earning a very large share of the new industry. 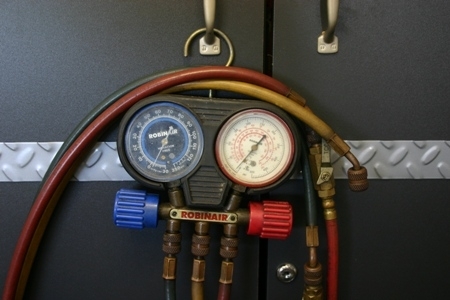 Today air conditioning technicians, especially in the automotive field mostly prefer to use Robinair AC machines due to their ease of use and dependability . Recycling has always been important to Robinair. 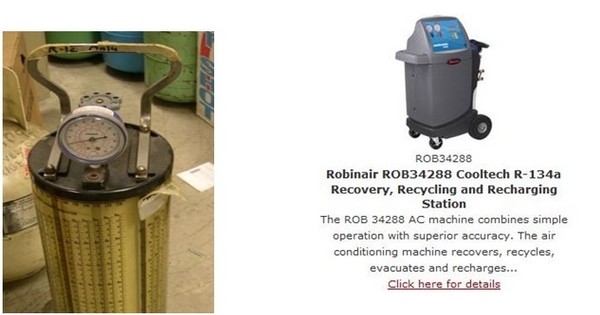 In fact Robinair was the first company to offer an AC machine for refrigerant recovery and recycling. This was in direct response to the concern of the environmental impact that releasing chlorofluorocarbons has on depleting the ozone. The ROB 34788 meets the newest standards, if any other AC machine is considered it undoubtedly has to be compared to see if it measures up to a Robinair AC machine. The Society of Automotive Engineers (SAE) started a new program to reduce the amount of R-134A refrigerant that’s allowed to escape from the use of RRR (Recover, Recycle and Recharge) machines. The program was named I-MAC (Improved Mobile Air Conditioning), the idea was to reduce the emitting of refrigerant into the air as inexpensively as possible. I-MAC has came up with smaller AC machines that have fewer emissions (Refrigerant/Freon Leaks). The SAE passed more strict rules for automotive air conditioning recovery, recycling and recharging machines. The mandate was called SAE J-2788 which says that all AC machines made after November 1, 2007, must recover 95% of the refrigerant and recharge to within 1/2 ounce. The Robinair AC Machine “CoolTech ROB 34788” meets the J-2788 mandate. 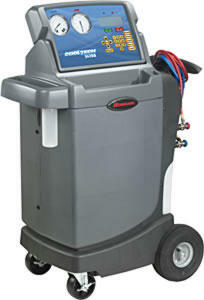 The ROB34788 is one of the most popular AC machines made for servicing automotive ac systems. It’s got the ability to quickly recover, recycle, vacuum (AKA Evacuate and Recharge) the system with the right amount of 134A into the car’s air conditioning system – it can be set to automatically do this or for each phase to be started manually. 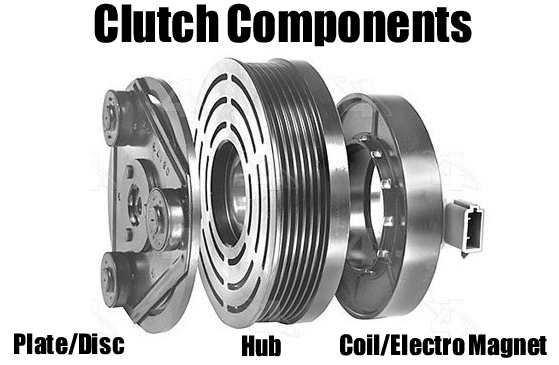 The lowest amount of CFM’s (Cubic Feet per Minute) vacuum pump needed for automotive use is 1.2 CFM. The Robinair 34788 AC machine has more than enough CFM capacity, it’s included vacuum pump is neatly tucked away and rolls with the unit. The higher rated AC vacuum pump that’s built into the machine pulls vacuum down quicker than a lower rated vacuum pump would and that’s a plus! 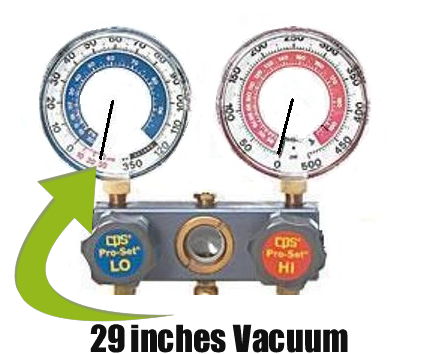 Once full vacuum is reached the boiling point is lowered and harmful moisture is boiled and therefore removed from the A/C system more efficiently. 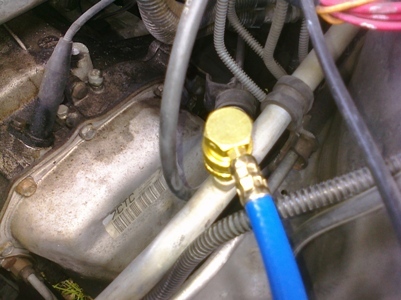 Removing the moisture can reduce the possibility of freeze-up in the car’s expansion valve or evaporator. Also moisture that combines with refrigerant under pressure can cause a corrosive acid that can corrode air conditioning components from within causing component leaks and/or failure. Air conditioning refrigerant oil is prone to absorb moisture that can result in the AC refrigerant oil sludging. Robinair air conditioning machines with higher capacity vacuum pumps help to remove more moisture faster, without loss of technician production. 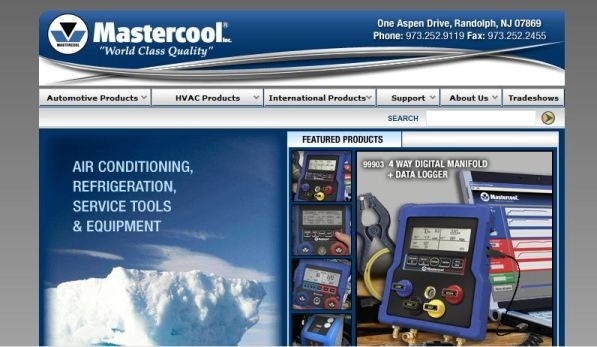 Correctly charging air conditioning systems is crucial for optimum performance. Most cars and trucks have air conditioning refrigerant capacity labels under the hood. If the decal is not present or is not legible, the correct capacity must be looked up to insure the proper charge of Freon is put into the system. Overcharging the system can damage the compressor and cause the car not to cool as well. The ROB 34788 has a database that’s available (optional) for looking up air conditioning refrigerant capacities. Disks that store capacity info. are inserted into the expansion slot on the 34788 air conditioning machine. The Robinair AC machine with this feature can save time allowing the tech to be more productive. The J-2788 mandate requires that the A/C machines filter be changed after recovering and recycling 150 pounds (68 KG) of 134A refrigerant. The ROB 34788 prompts the user when it is time to replace the filter. The technician can easily change the spin on filter (ROB 34724) without the need to call for service. This particular A/C machine has a compartment on the rear of the unit to store an extra filter. Auto techs using this machine benefit from automatic oil purging and passive 134A refrigerant refilling from the virgin tank – time savers that are appreciated by any tech that has had to fill an AC machine before he could fill the car! The Robinair Cooltech 34788 AC machine includes free shipping and no sales tax charged outside the state of Florida. Also while supplies last see the ROB 34288, same great brand at an even lower cost. AC Machines for Sale – See the individual product descriptions for more information – some have owners manuals linked. Ask us about our end of summer sale on Robinair AC machines! Juan, R12 is no longer manufactured as you are probably aware. I would wager a guess that most used R12 AC machines are broken and no longer in use or have been converted to use 134a refrigerant. A shop that I used to work for had an R12 machine that gathered dust in the corner. One of the tech’s acquired it and converted it to 134A. Wish I would have thought of that at the time! He was able to use it at home for his own vehicles and for side jobs. Anyway, you may find an obsolete R12 A/C machine but it won’t be easy. Try Craigslist and Ebay. Good Luck.